There are often many questions that a new Foundation Parent has when looking at a school for their child. 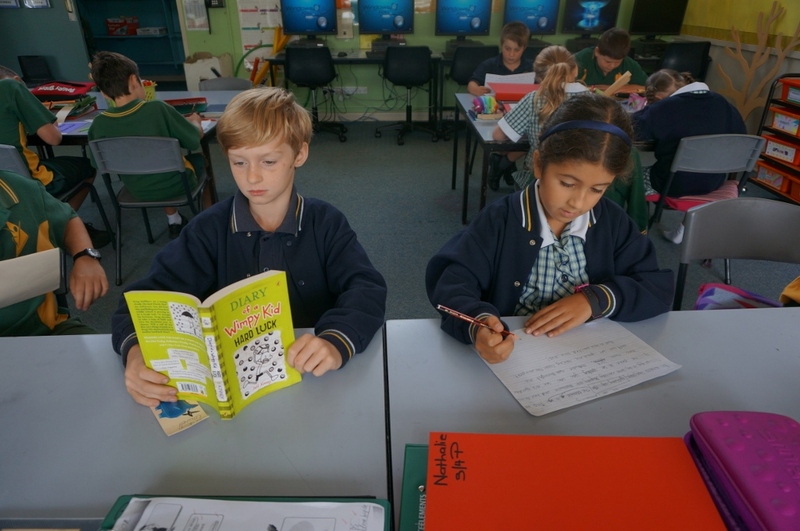 Here is a list of questions that commonly come up for us here at Donvale Primary. We hope you find them helpful. If you have any further questions, please do not hesitate to contact the school to chat to our friendly staff, take a tour and meet our great Prep teachers. 1. When will my child eat? At Donvale we acknowledge that students learn more effectively with timely and appropriate nutrition. For this reason we have supervised eating times in which the children eat in their classroom without the distraction of the playground! We also have ‘fruit and story’ time across the school at 12.00pm. This is the time when every class shares a story together and the students can refuel with a piece of fruit. Many parents ask why our lunch break to so late in the day. Our school times are based on educational research that found that children’s most productive learning occurred before lunch. So, we have maximized that time and given them a snack break as well as a fruit break before lunch at 12.00pm. We have worked with this timetable for many years now and find it to be very effective in getting the most out of our students. 2. How does Donvale address bullying? At Donvale P.S. we have a policy of zero tolerance towards bullying. Through our Values program we educate students about the different forms that bullying can take and teach a range of strategies that students can use to protect themselves from such behaviour. All incidents of bullying behavior are to be reported to the class teacher. These incidents may also be reported to the Principal or Assistant Principal who may contact the parents and advise them of their child’s actions. The child responsible for the bullying will be counselled by staff members and if necessary the school Chaplain /Wellbeing Officer. Records of such incidents are kept. We also have a Code of Conduct booklet which clear sets out the expectations of behaviours amongst our students. This booklet is constantly referred to and is shared with our parents where students discuss and sign an agreement to adhere to the codes of conduct as set out within the booklet. 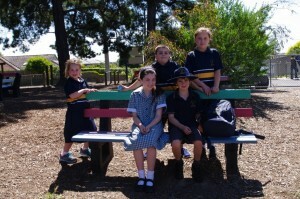 At lunchtime we have senior students who have been trained as Peer Mediators monitor the junior playground in pairs. 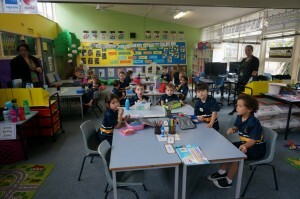 These students have undertaken a training program to enable them to settle minor disputes between the Prep to level 2 students. The yard is supervised at all times by teachers at recess and lunchtimes. 3. 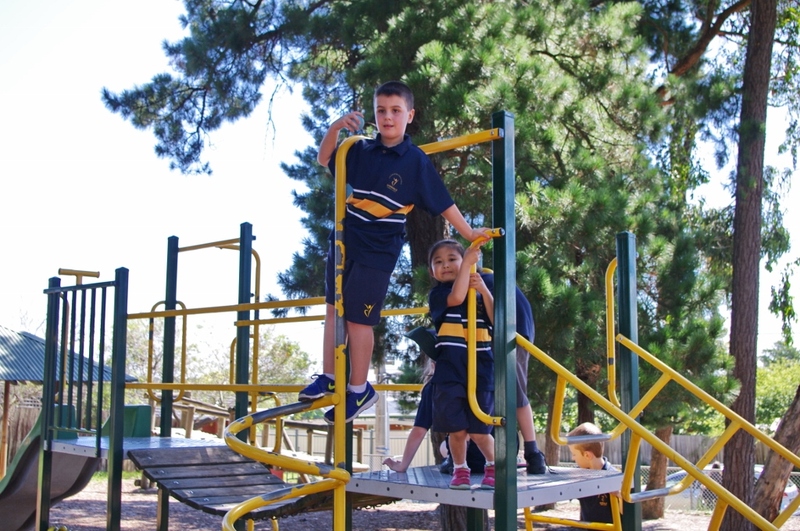 I love the expansive grounds at Donvale, which areas can my Foundation child play in? We are so lucky to have beautiful grounds with lots of space for our students to enjoy. When the students are in the playground we have three teachers on duty at all times. These teachers wear fluorescent orange vests so that they are highly visible to the students. We also have peer mediators in the yard wearing orange vests as well. Peer mediators are senior students who have been trained to assist junior students with minor dispute resolution and guidance to adhere to our school behavior code. We also have designated areas for junior and senior students to play. 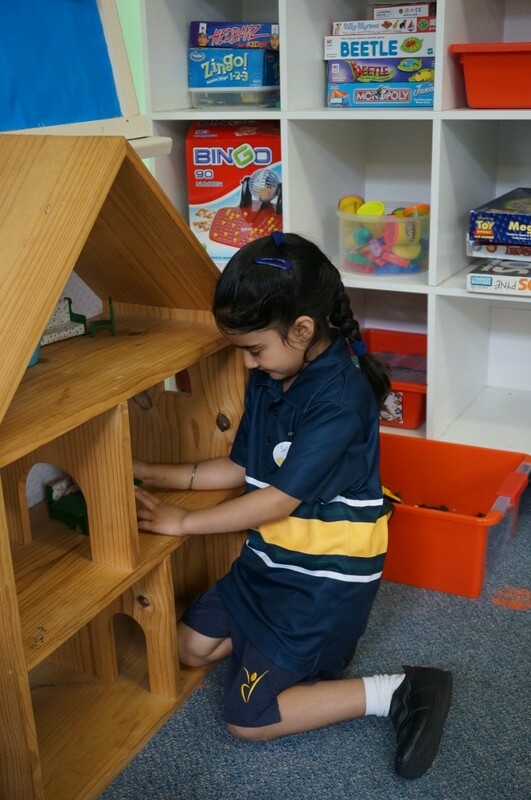 This allows the junior students to feel safe and secure in their environment, without feeling intimidated by older students. 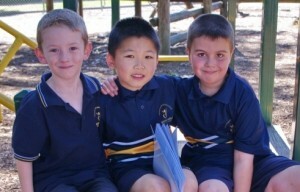 However, some prep students like to meet up with their grade six buddy at recess and lunch time. They have the opportunity to do this on the large oval where all students, prep to grade six are allowed to play together. 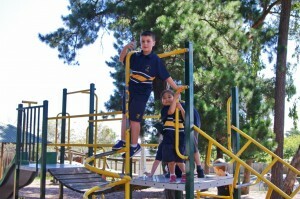 In the first week of prep the students have special recess, lunch eating and playing times. Their teachers will take them outside to play when the other students are still in their classrooms until they feel secure in their surroundings. During transition the Preps and their parents will be taken on a tour of the grounds to identify all the play areas and boundries. 4. 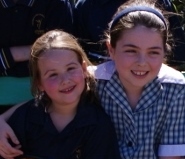 Do you have a buddy Program at Donvale Primary? Every Foundation student is paired with a grade six buddy. During Foundation transition they meet their buddy and develop a relationship with them. A familiar face often helps them feel more secure in the first days of school. We run buddy sessions every fortnight. The grade 6 buddy is responsible for collecting their buddy from the classroom and bringing them back to the classroom at the end of the session. Buddy activities may include computer skills, arts and crafts or team building games. 5. What happens if my child is hurt in the playground? As mentioned previously, there are always two teachers in the yard wearing fluorescent orange vests. They will assess your child’s injury. If they deem it necessary, they will give your child a first aid pass. Your child will take the pass to the office and a first aid qualified staff member will tend to your child. If it is a minor injury you will simply get a note in your child’s green pouch informing you that they have visited the first aid room and a short description of the incident. If the incident is more serious, you will be phoned immediately. It is important that your emergency contact details are always kept up to date at the office. 6. I’m running late to pick up my child, what do I do? We all know that life throws us some curveballs sometimes and running late on the odd occasion is not unusual. 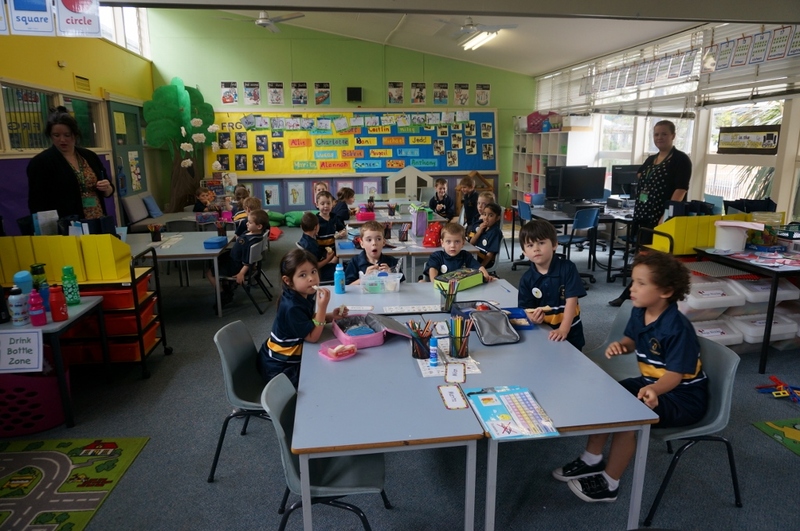 The prep teachers stay in the yard until all students have been collected so you never need to worry that your child will be left in the school yard on their own. The best course of action is to call the school and let them know you are running late. If you will only be 5 minutes late the students generally wait at the office until you arrive. The other option is to enrol them in the Out of School Hours Program. You can enrol your child early in the year and then use the program as required. OSHClub provides a fabulous program for the children. It is also nice to know that you have a ‘back up option’ should you ever need it. 9. Where do I go to buy a uniform? Ross Haywood Sports (RHS) is located at Unit 14, 100 New Street, Ringwood. Please visit the school website for more detailed information, order forms and price lists. 10. How do I keep up to date with what’s happening at school? Parents can keep in touch with school by downloading the Compass app to their iPhone, iPad or Android device. Information on how to download the app is provided by the school. The app enables the school to send reminders of events or alerts about last minute changes via push notifications, and if a response is required, you will be able to reply via text or email directly from your phone. Student absences can be logged via the app as well. Notices and permission forms will be sent and returned via the app, so no more lost notices in the bottom of kid’s bags! You will be able to link directly to the school bank account and pay for excursions or bulk billing. Calendar dates that appear in the app can be easily added to your own calendar as well. There is also lots of useful information contained in the app that will support our parents and families. This website is also continually updated. On the website you will find the DPS calendar, year level notices, Snippets (newsletter) and key downloadable forms. 12. How do the fees work? 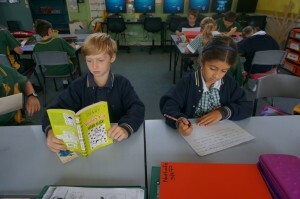 At Donvale Primary School we endeavor to keep our annual fees as low as possible. We have an annual fee, which is made up of a materials contribution, equipment fee and voluntary contributions. Fee notices are sent home to students in December and due at the end of January. 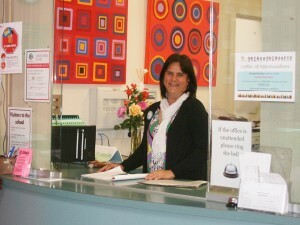 Each term teachers organize incursions and excursions as part of the curriculum program. These activities are invoiced to families through our Bulk Billing system. Each term an invoice is sent home with the student listing the incursion/excursion for that term and the cost. 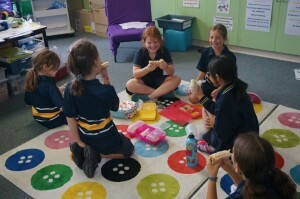 Activities change depending on the topic being taught, however regular activities can include swimming in term 4, gymnastics, the grade 2 sleep-over, grade 3/4 and grade 5/6 camps and the School Production.